Packaging is not everything. Often it is the small, valuable detail that makes the difference, such markers or covers. 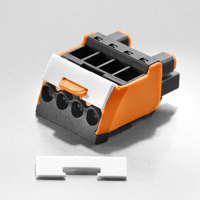 Tailored to your needs: Markers for the connector BHZ 5.00 and for the housing CH20M in proven Multi-Card-format. Easy and fast printed with our Print-Jet Pro. 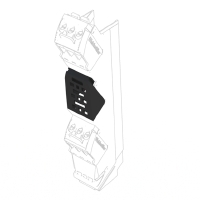 The CH20M AD SL 5.00 cover can be used to cover the side element's unused connection levels. Available for CH20M17 (3-pole) plus CH20M22, CH20M45 and CH20M67 (4-pole).